It’s Christmas Eve, and here in Missouri we are facing a possible ice storm. 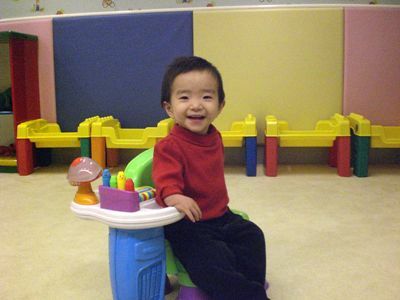 Somewhere here in the U.S. tonight, my dear friends Pat and Kim are either flying to Florida, or are in an airport somewhere, waiting to finally go home after their long journey to China to get their adopted baby, Hadassah. I am eagerly waiting to hear from them, praying for their safety and for their strength for the remainder of the journey. 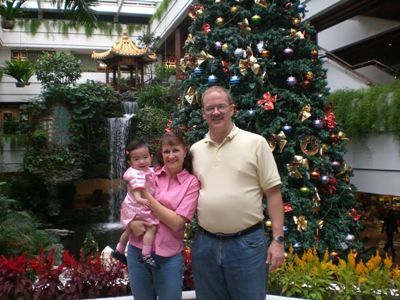 Above is a picture of Pat, Kim, and Hadassah at one of their hotels in China. Kim knew I would love the waterfall. 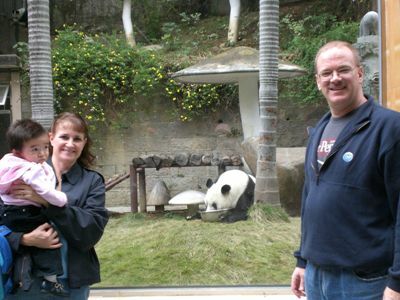 🙂 Here is a picture of them when they took Hadassah to see the big pandas at Panda World in China. Thank you all so much for praying for my friends, and please keep them in your prayers. I will keep you posted as soon as I hear news of their arrival. This precious, beautiful little girl is almost home! Have a WONDERFUL day tomorrow with family and friends. Merry Christmas!